Interior home décor trends shift with the seasons. One year, brass fixtures and exposed brick are in, the next year it’s on to concrete countertops and Edison bulbs. Thankfully, when it comes to a home’s exterior, styles typically stick around a while longer. Chalk it up to the fact that most homeowners revamp the façade of their homes less often. Exterior home trends range from popular siding and roofing colors to eye-catching address numbers. When it comes to home exteriors, we find one thing that’s always in style is protective, good-looking James Hardie® siding and trim. From HardiePlank® lap siding to HardieShingle® siding to HardiePanel® vertical siding, there’s a classic, high-performance look for any abode. Here are a few exterior trends that are smart, stylish and sticking around. Stonework and Siding. The combination of stone and siding breaks up the look of the home’s façade, while keeping some of the existing exterior. When selecting a siding to pair with your home’s stone or brick, opt for something strong, James Hardie’s fiber cement. Eye-catching address numbers. Make a statement with your home’s digits. Whether you choose address numbers that are whimsical and mosaic, clean-lined and modern, or a bold, geometric Deco—it’s a simple way to show off your personality. Going green. Consumers now have a heightened awareness of working with companies that possess eco-friendly options, and James Hardie’s siding is the pros’ favorite green siding option. The company’s siding products are made from sustainable raw materials, making them green with great design to boot. 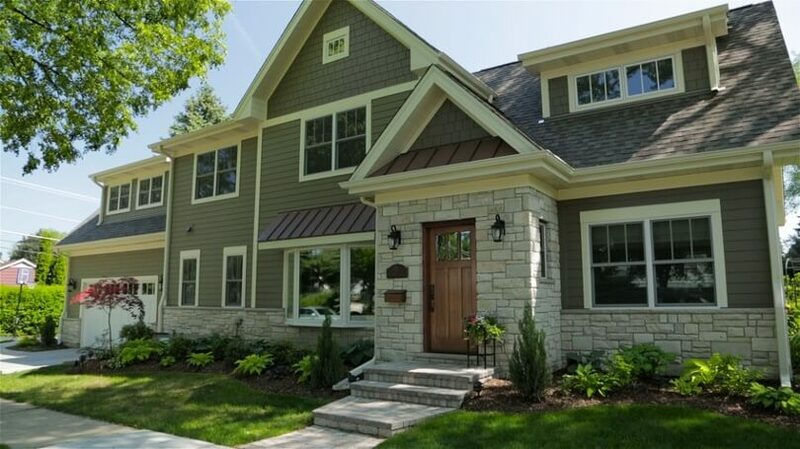 A modern palette: In the Midwest and nationwide, gray and white hues are the most popular siding colors. And when you go with James Hardie’s ColorPlus® Technology palette, you have a range of options in the gray and white families, like Pearl Gray, Arctic White and Gray Slate.